In an intimate venue as part of the Off-JFL series, Ari Shaffir popped out to do a quick ten minutes before introducing the headliner. The accomplished New York comic dropped a couple of comedy bombs on the audience, including an extended bit about encountering subway masturbators (five of them — "and that's not a rounded number. It'll change when it becomes six") that was hilarious and a little disturbing. 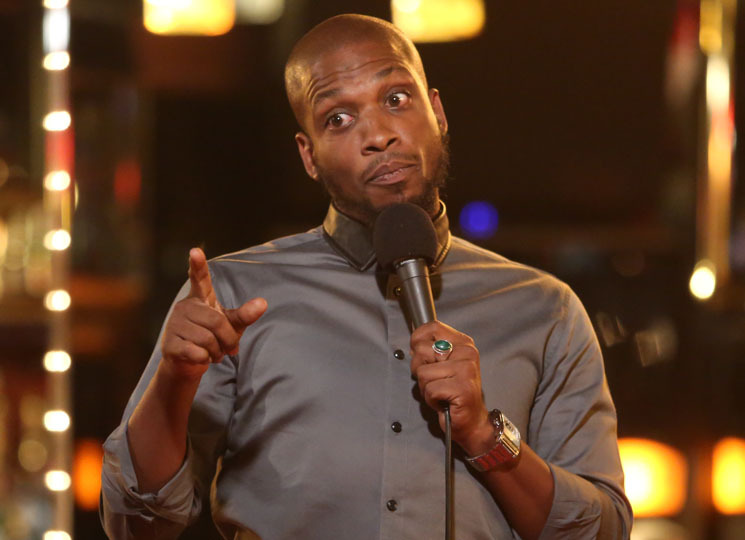 When Ali Siddiq hit the stage, he dragged a comfortable chair over and slumped into it, telling the audience that they should lower their expectations immediately because this was what we were gonna get. But that didn't turn out to be true. As Siddiq dove into some personal stories about going to jail, what not to say to a judge and the level of family obligation in that situation, he got more animated, using the stool as a prop and pacing the stage. The Houston comic — who got his start while doing prison time — drew a lot of storytelling gold from his various encounters with the law, including supporting his cousin, up to a point, and accidentally getting his mother arrested. Prison, as he explained, is a young person's game and that extended to a number of his other stories as well: being a dad, excelling in an over-40 basketball league only to be brought low by a game against younger folks, and a hilarious act-out involving trying to identify his child while being taken out of the aforementioned basketball game on a stretcher. He finished with a brilliant anti-closer, just declaring himself done before unpacking the entire idea of a "closer" in a comedy set. "Is that how it works? When you're at your job and there's five minutes left, do you just really, really try until the time's up? If I haven't said anything funny or interesting in the last hour I don't know how a final few minutes is gonna change that."